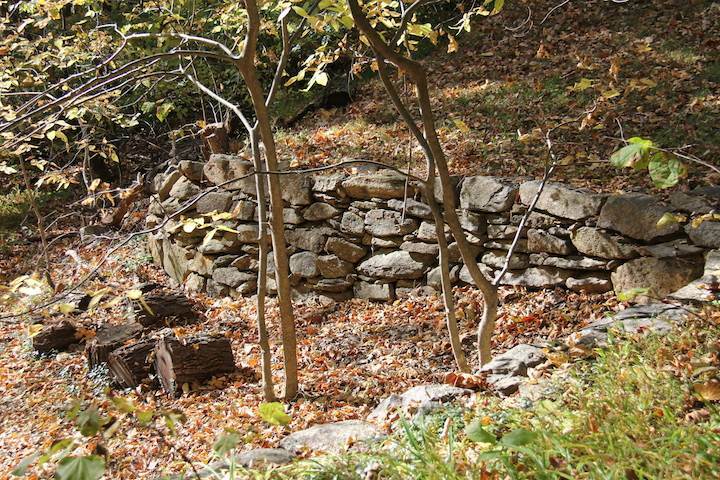 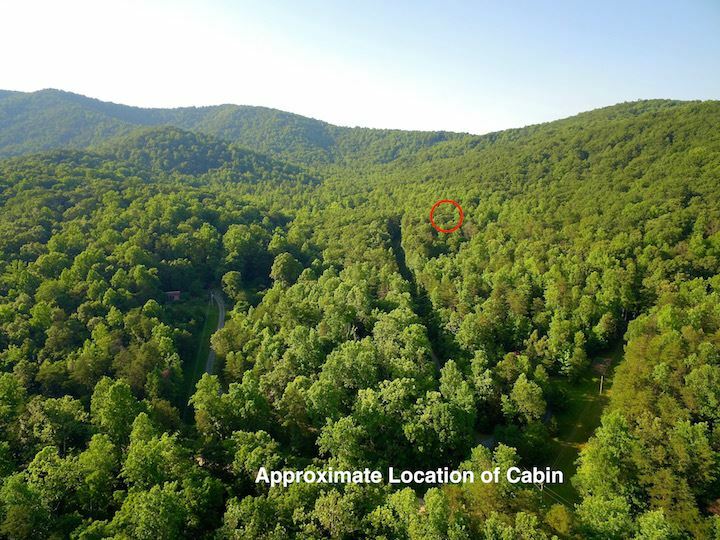 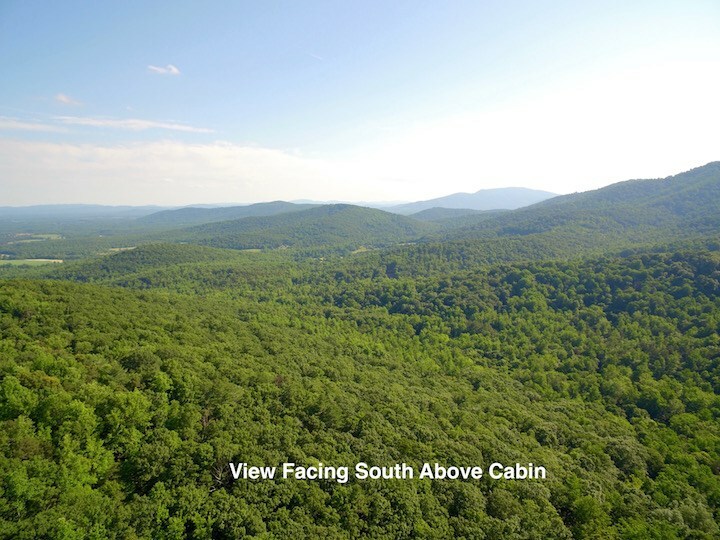 On Fox Mountain just 30 mins from downtown Charlottesville lies \"Turkey Cove\". 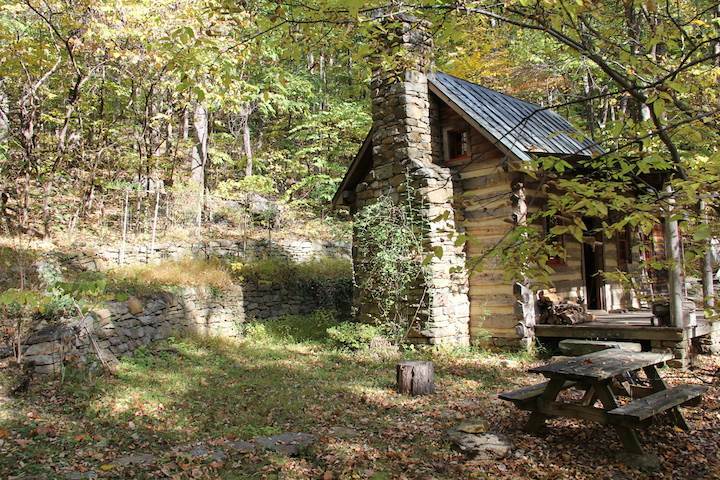 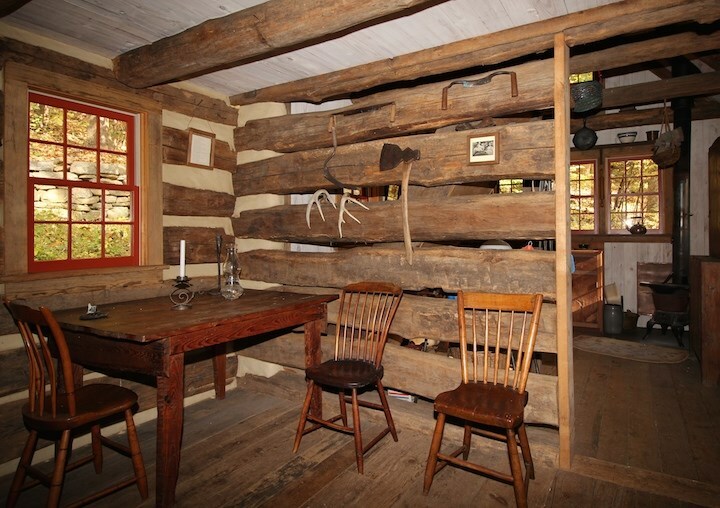 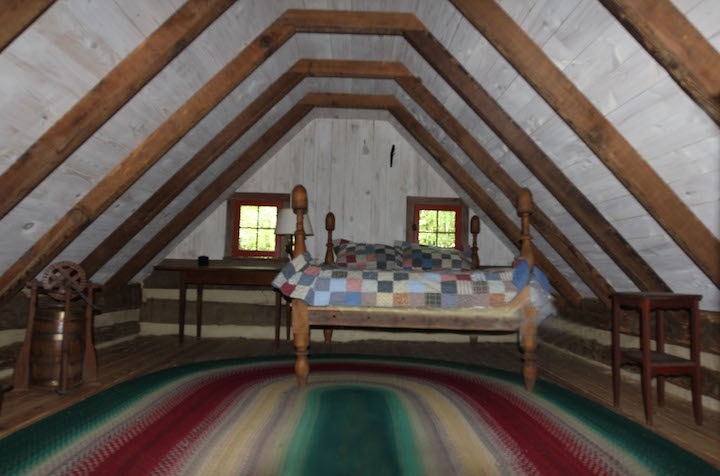 On the site of an abandoned cabin was reconstructed a similar log cabin from an 1844 Appalachian Overhang Loft Barn found in West Virginia. 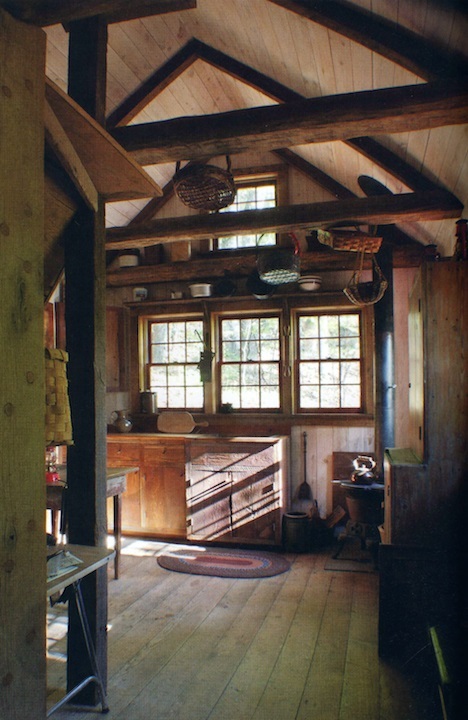 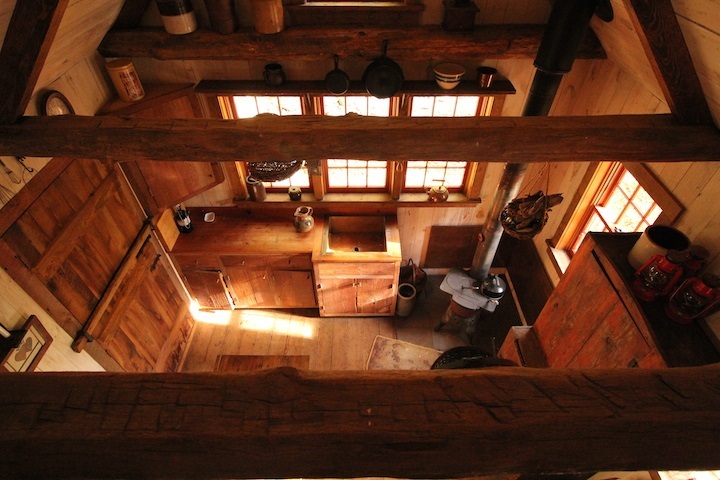 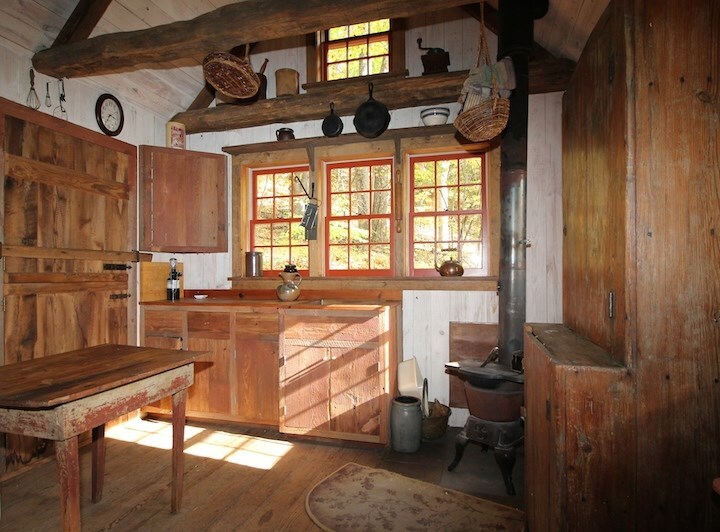 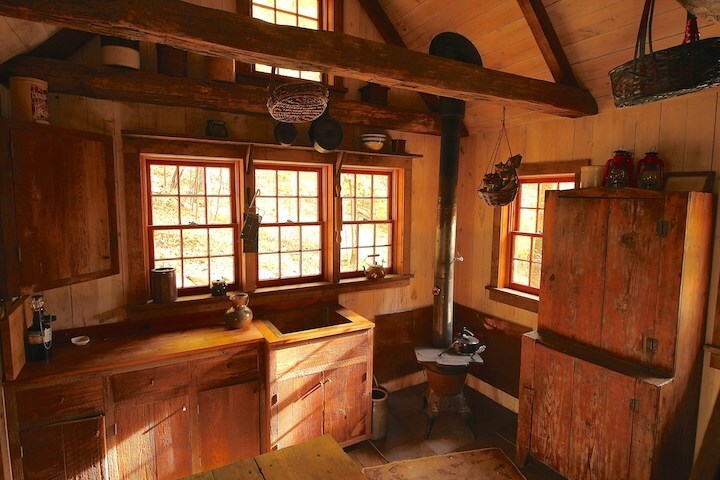 Hand-hewn logs were reassembled with stone foundation, walls and fireplace to which was added a post-and-beam kitchen with vaulted ceiling all capped with a copper roof. 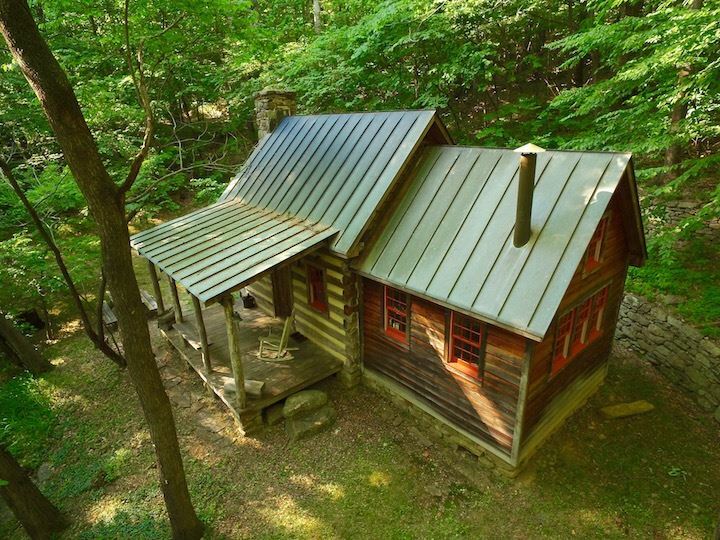 The original hinges and other hardware were saved to hone the composition of this remarkable charming living art tucked on a wooded hillside. 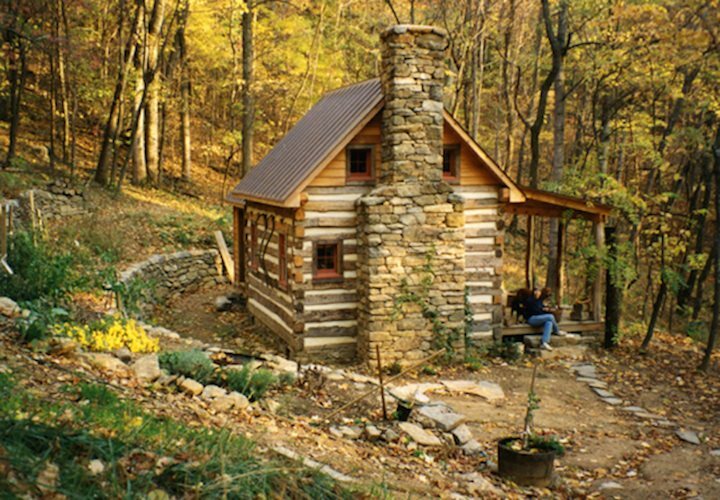 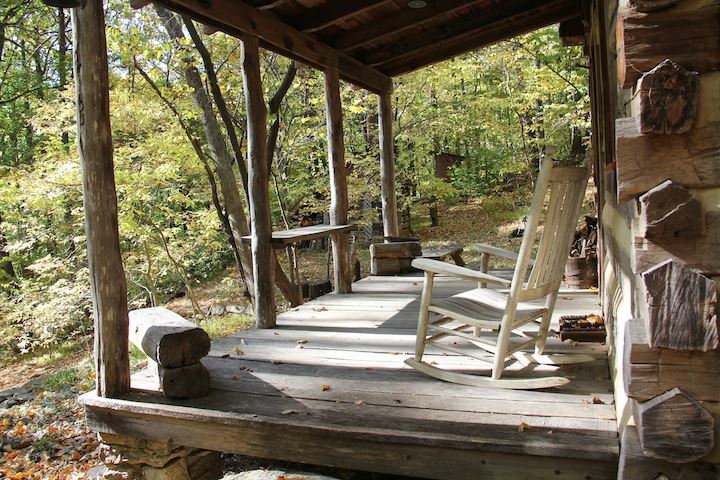 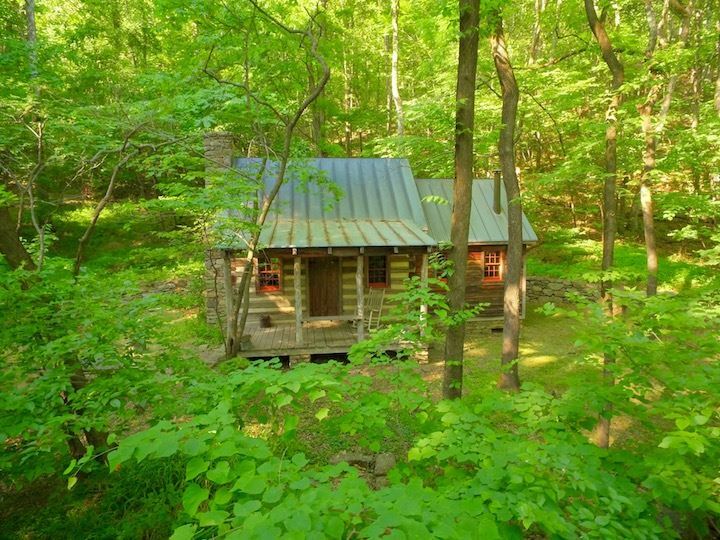 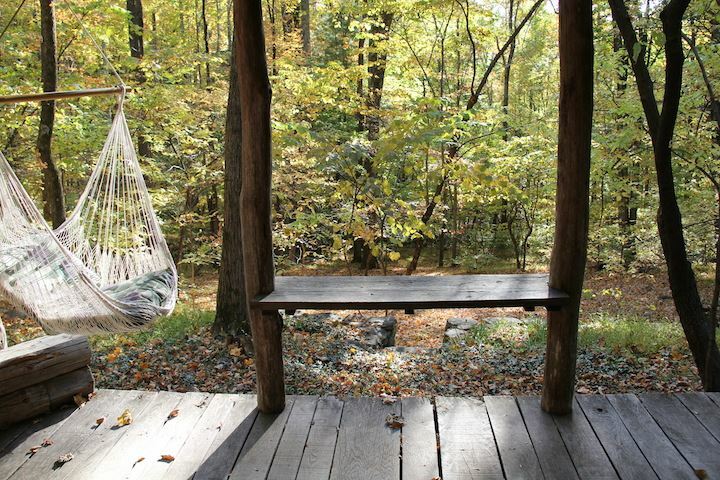 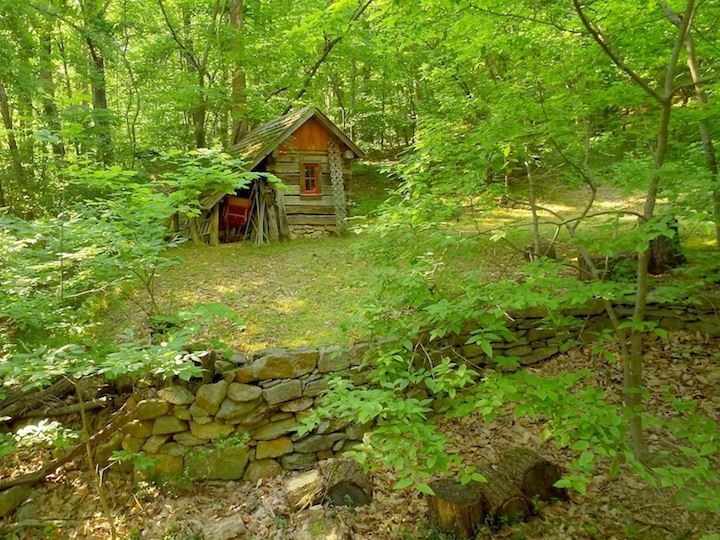 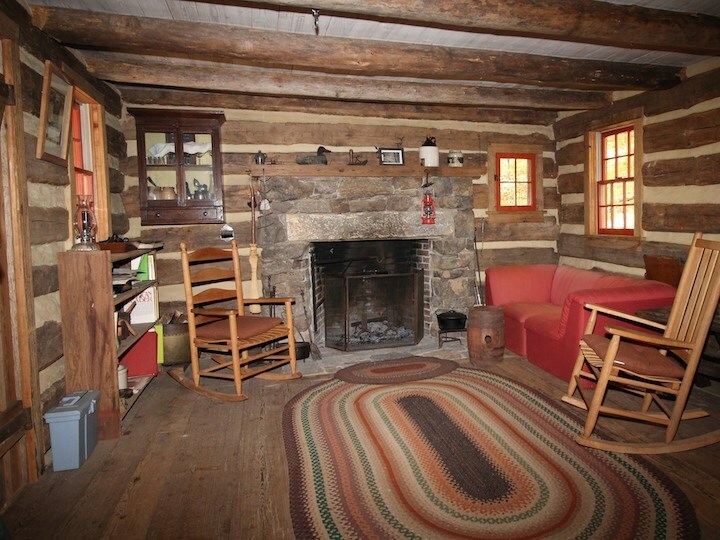 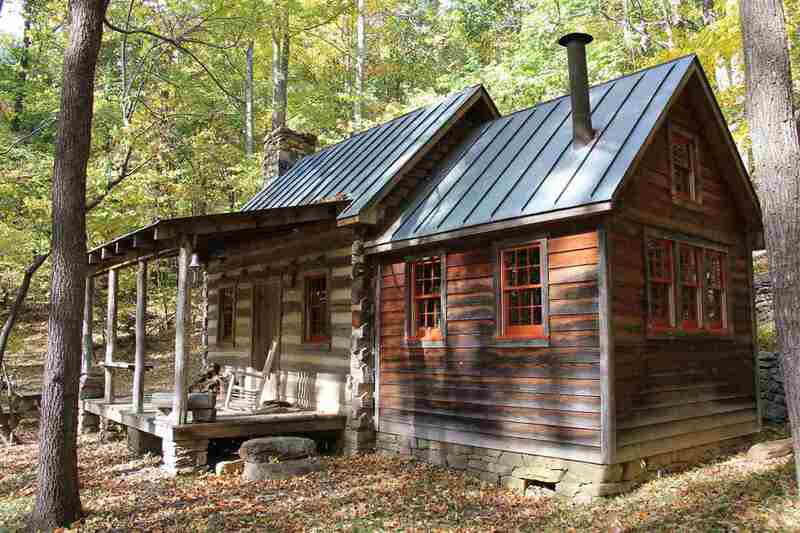 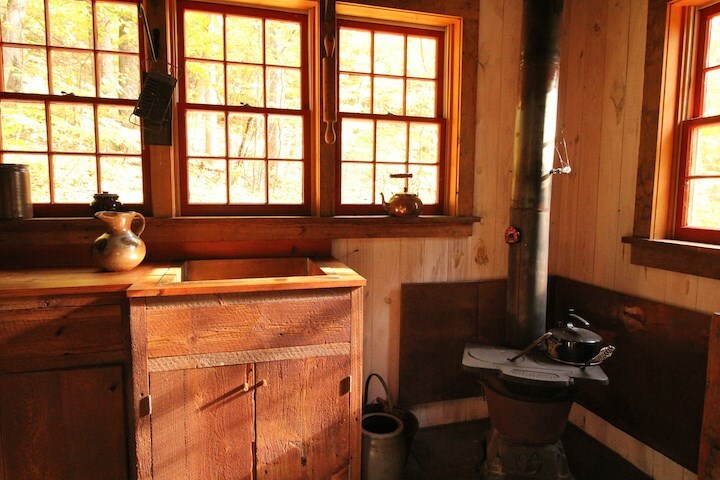 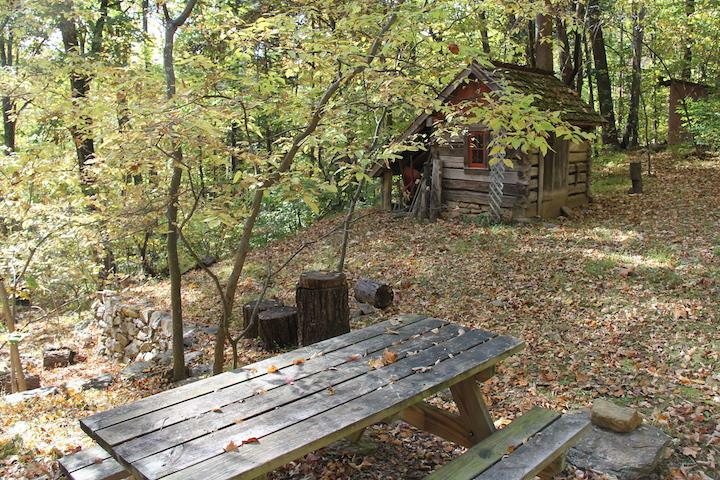 The cabin has been featured in \"Mid-Atlantic Country (Jan/Feb 1997) and \"Early American Country Homes\" (2011). 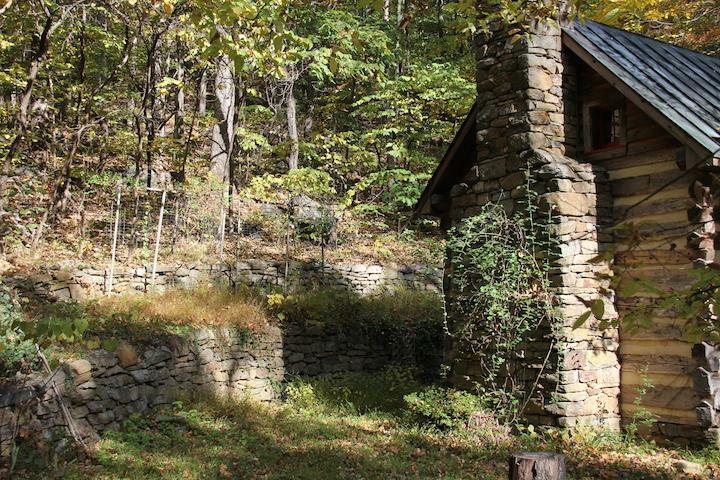 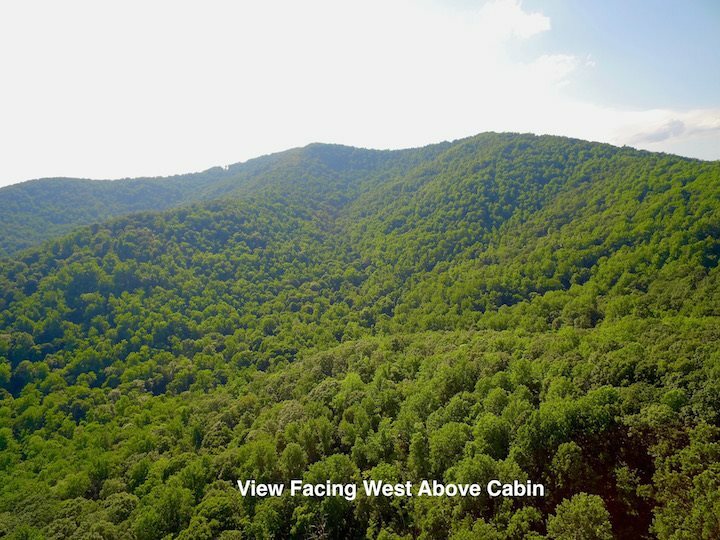 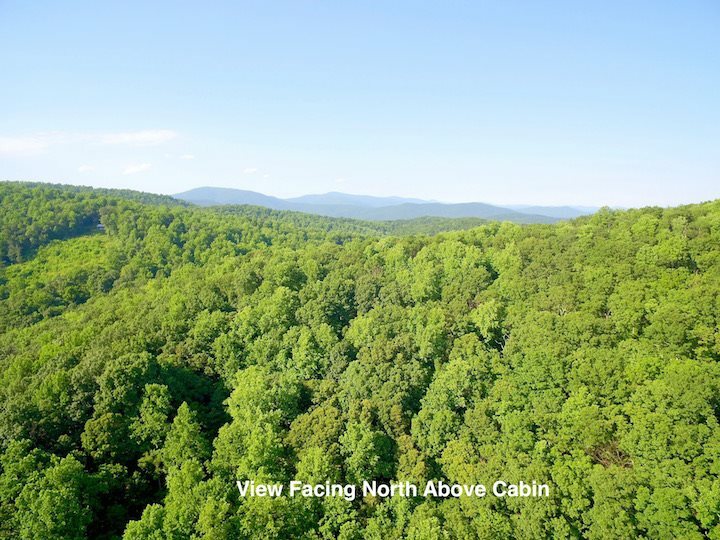 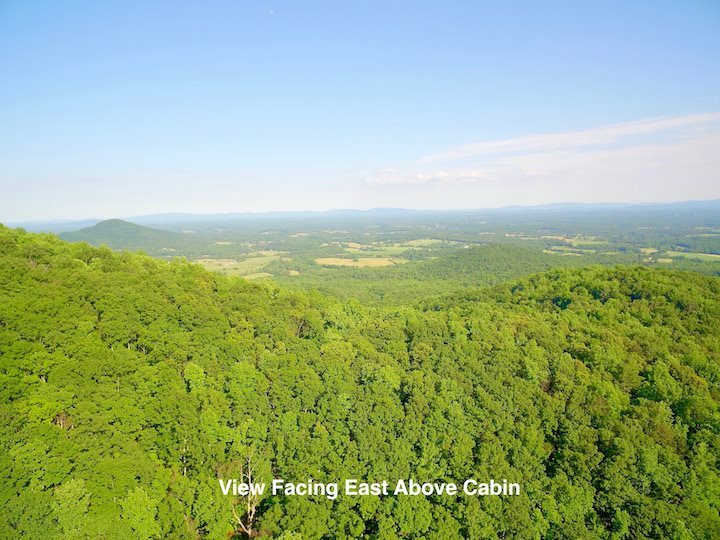 The property is surrounded by 2,400 acres protected by conservation easement.